Nerdy Show –Pokéballs of Steelix :: Kanto We All Just Get Along? Pokéballs of Steelix :: Episode 3 :: Kanto We All Just Get Along? Our Pokémon Tabletop RPG podcast, Pokéballs of Steelix returns! If you love Dungeons & Doritos, Pokémon, both, or possibly neither – you’ll be totally into this! Join game master Hex, and our crew of mismatched, inexperienced Poké-trainers as we quest through the Kanto region and beyond – 37 years after the original Pokémon series! When last we joined our crew of would-be Pokémasters, they were on the road to Pewter City, and now… they’ve arrived! But as usual, everything’s gone to Muk. The townsfolk are being shady, and the party’s friend Darin Kobe, who has the egg that Professor Ketchum left them, is still kidnapped! 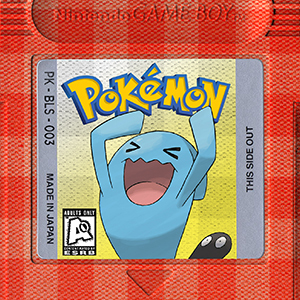 Upon checking into the local Poké Center, the always hungry ex-Ranger, Jumanji, Gary Oak enthusiast, Martin, 30-something delinquent, Jamesy, and Tark – the boy raised by Totodiles are at odds. Will they be able to pull it together to find their friend? Kanto we all just get along?